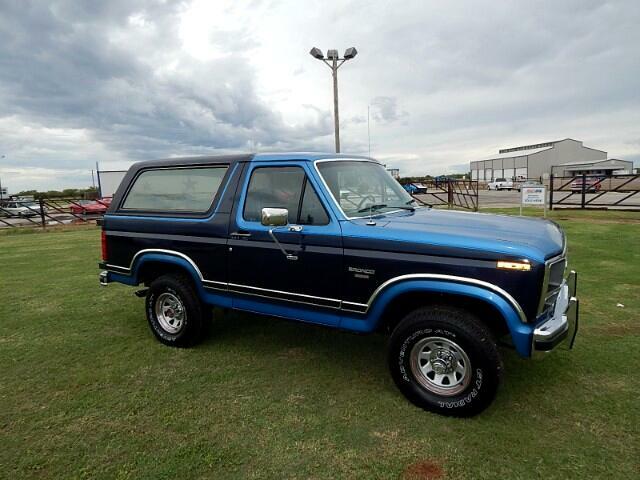 Lone Star Muscle Cars is Proud to Present this Beautiful 1985 Ford Bronco. This original Ford Bronco came with a 302 fuel injected motor from the factory, the first year that Ford started doing so. Now this Bronco comes with a brand new H.O. roller motor. As you look at this vehicle you will notice the original paint and interior in excellent condition from being garaged kept all of its life. New tires and a complete service has been done making this Bronco ready to be a great daily driver or a nice weekend cruiser. Message: Thought you might be interested in this 1985 Ford Bronco. All Payments Shown Are With W.A.C. @ 7.99 APR 84 Months Outside Finance Source. Tax, Title, Registration Extra All Texas Residents T.T.L. Due At Time Of Sale. We Offer No In House Financing. See Dealer For Detail.